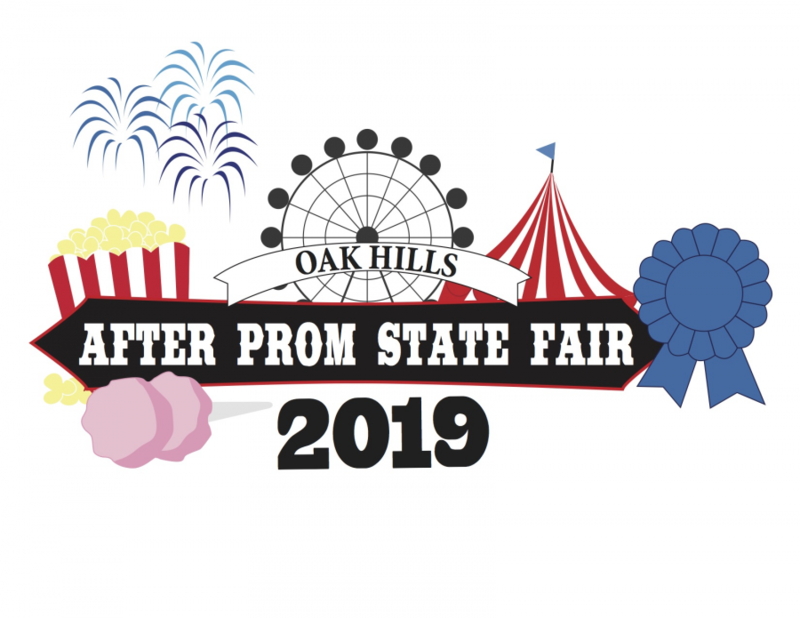 Oak Hills After Prom is April 28, 2019 and this year's theme is: STATE FAIR. The event runs midnight – 4:30 a.m. Tickets $20 each in person, $22 online. COMMUNITY and Parent Preview will take place on Saturday, April 27 from 7:30-9:00 p.m. Come check out some of the fun games and decorations in store for the students!! It’s free and FUN!! VOLUNTEER PERKS! We are still in need of volunteers to make this event a success. All volunteers will be entered into a raffle drawing of their own for $100. Help us make sure this important activity continues to keep all of our students safe. All volunteers eat and drink for free and can work with your friends! STILL LOOKING FOR DINNER PLANS? • SO many activities!! Here are just a few for 2019: Mechanical Bull and Skateboard, Money Machine, Inflatables (including The Wild One and Whirlybird), Battle Light Challenge, Karaoke, Hose Hockey, 9-Square, and many more! • This is not a Lock-In. You must check out if you are leaving early.